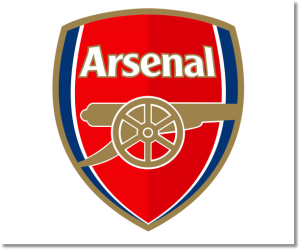 Premier League Previews for Arsenal v Manchester United along with Prediction. Included in my preview is my pick, statistical analysis for each team, recent form, and betting odds. The weekend’s 5-1 loss at Liverpool was certainly a blow to their title bid. They are now one point behind Chelsea with 55 points. Still, it was only their fourth loss of the season and they now play at home against a struggling Manchester United. At home this season Arsenal has just one loss, coming on the very first match of the season, and two draws. They have only failed to score in one match, the 0-0 against Chelsea. Where to start? Following the 2-2 draw at home to Fulham, Manchester United are just about out of the running for a fourth place spot. They put in a season high 82 crosses in the match, which is also the most in the Premier League era. About the only positive they have going into this match is that they have won eight out of their last ten matches against Arsenal in all competitions. They have also done a good job of scoring goals, having been held scoreless in just one Premier League match this season (the 1-0 loss to Liverpool). My pick is an Arsenal win, but one in which Manchester United is still able to score. Arsenal has been able to win by at least two goals in eight of their last ten EPL games. In their last six meetings with Arsenal at home, Manchester United has won three with one draw and two Arsenal wins. A lose, and then a draw and then another draw for Manchester United. What would be next for Manchester United? At this point I won’t be surprised by any result from them. With an away match with Crystal Palace coming up next I would say that a draw could be on the cards.